“Monogram” is Villa Yustina’s boutique line from specially selected vineyards. The wines from this line are aged in oak barrels and the available quantities are limited. The main purpose is to show you the best of Villa Yustina winey. Pure varietal Chardonnay from own grapes, fermented and aged in new french oak barrels for 6 months. The wine has an intensive gold color, elegant and complex nose with hints of butter, nuts and sweet vanila. Full body with pleasant freshness. Attractive blend of two indigenous varieties. Intensive ruby red color and complex nose with hints of mature black fruit, chocolate and vanilla. Full elegant body with soft tannins. 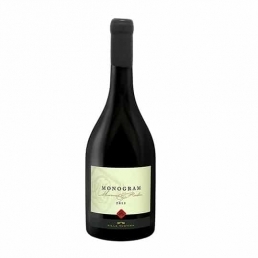 The wine has matured for 18 months in 100% Bulgarian oak and 2 years in a bottle. It is possible to have noble sediment. Attractive blend of two indigenous varieties. Intensive ruby red color and complex nose with hints of mature black fruit, chocolate and vanilla. Full elegant body with soft tannins. 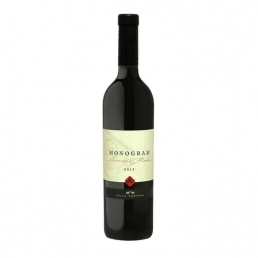 The wine has matured for 18 months in 100% Bulgarian oak and 2 years in a bottle. It is possible to have noble sediment. Special reserve Villa Yustina is the beggining of our winery’s search of the “big wine” and the upgrate of the Monogram line.In making of this wine the winemakers gave their best, for this reason they consider that this wine is the one with a big future. Expect to appear in 2019! Attractive blend of Cabernet Franc, Merlot, Cabernet Sauvignon and Pinot Noir, matured one year in french oak barrels and another one year in Magnum Bottle. Intensive ruby red color and complex nose with hunts of black fruit, chocolate and vanilla. 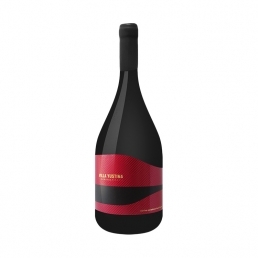 Full-bodied wine with elegant and soft tanins. Attractive blend of four french varieties with intensive ruby red color and complex nose with hints of black fruit, chocolate and vanilla. Full-bodied wine with elegant and soft tanins. The wine matured 12 months in 100 % french oak barrels and another one year in a Bottle. 4 Seasons wine is the terroir line of our wines, designed to show the pure varietal characteristics of the wines from the Rhodopean Collar Region. Name after the 4 annual seasons , the whites SPRING and SUMMER and reds AUTUMN and WINTER are complemented by the all-season Rosé of Rubin. 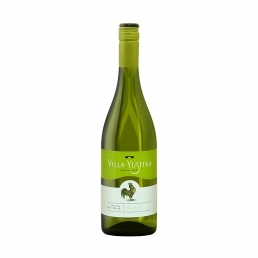 A classic blend of Sauvignon Blanc and Semillon, with a delicate straw-yellow color with rich nose of herbs. A fresh body with citrus and a pleasant mineral aftertaste. A rose wine from indiginous variety Rubin, from own vineyards of the cellar. Fresh and fruity aromas attracts your senses. On the palate is very fruity, smooth and spicy, touch of minerality for your full enjoyment. Long and lasting aftertaste. The autumn is presented by pure varietal Pinot Noir with bright ruby red color and intensive aromas of sour cherry , matured black cherry and spices. The winter representative of the line is pure varietal Cabernet Franc with ruby red color and juicy nose of black cherry. Elegant body with soft tanins and spicy final. 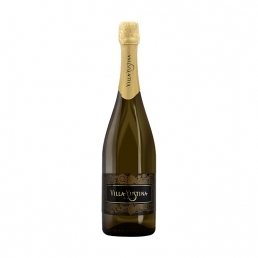 VILLA YUSTINA is the line which presents the best of vintage blends or cuvees,designed to find an excellent balance between price and quality. Young, fresh, fruity and attractive blends from the last harvest, suitable for tastings without food as well as paired with different kinds of dishes. Bright golden colour touched with tender grassy undertones. Intensive nose with honey nuances, citrus aromas and wet stone. 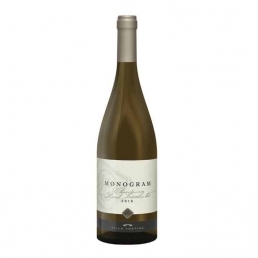 Well-balanced wine with lively acidity and mild fruity aftertaste. Gentle rose-coral colour and splendid nose with strawberry, cream and herbs. Full-bodied with tender texture and caressing freshness. Alluring fruity finish with spicy touch. Blend of four French grape varieties with beautiful dark ruby color with garnet gleam. Complex nose with hints of black fruits, herbals and forest floor. Full-bodied with fruit character and delicate spicy touch at the end. Natural sparkling wine of the Chardonnay with beautiful golden color and intense action and fine bubbles. Attractive nose with accents of fresh fruits and autolysate tones, harmonious and complex flavor. 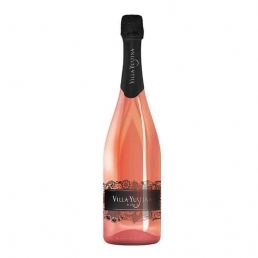 Natural sparkling rosé wine with beautiful rose color and intense action and fine bubbles. Attractive nose with accents of fresh fruits, cherries and autolysate tones, harmonious and complex flavor with pleasant acids. Tight body, long, refreshing and rich flavors finish. Сайтът на "Вила Юстина" използва бисквитки за някои персонализирани функции. Игнорирайте това съобщение, ако сте съгласни да продължите, или натиснете бутона "приемам".